After an early-morning arrival at Sandakan airport, relax on a leisurely 1.5-hour ride across the deep blue water to Lankayan Island, arriving before lunch. Register, check-in, and settle into your island chalet with its sweeping ocean views. 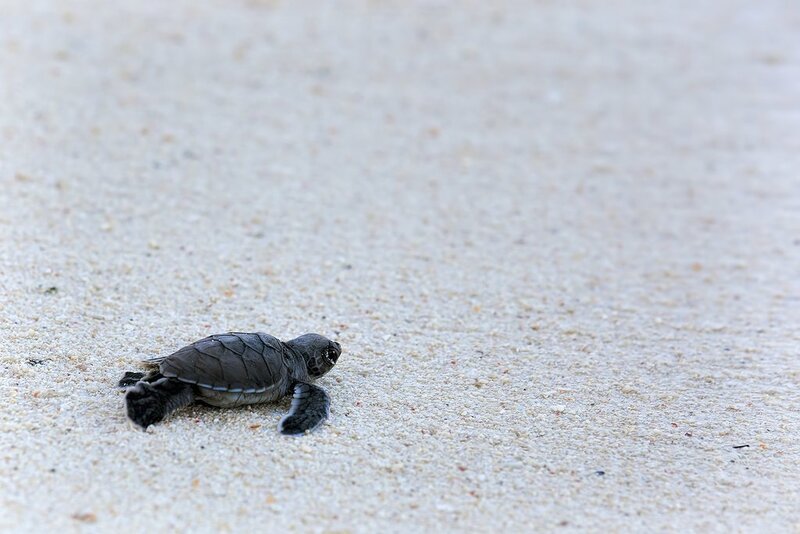 The rest of the afternoon is yours to walk the endless white-sand beaches, soak up some sunshine, search for nesting sea turtles, or take a swim in the Sulu Sea. Today is all about the island's top attraction: diving. Lankayan is known for its colorful, interesting dive sites, including ocean-floor shipwrecks, pods of gentle-giant whale sharks, and the dive site aptly titled Jawfish Lair, where yellow jawfish, rays, and leopard sharks are plentiful. For those who choose not to dive, Lankyan offers beautiful opportunities for snorkeling at the house reef just off the beach, as well as plenty of white sand for lounging, strolling, or sea turtle observation. Early on the morning of your third day, another boat awaits to whisk you away from the white sands and turtle nests of Lankayan and past historical Berhala Island, known for its birds of prey, to the rainforest around the Kinabatangan River. After lunch at your riverside jungle lodge, spend a couple hours relaxing on the riverside deck, exploring the wooden paths that wind through the jungle, or climbing the birdwatching tower. 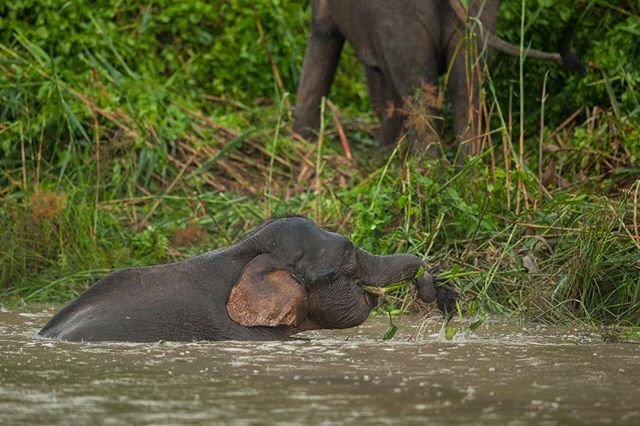 Then board a small boat for a cruise along the river in search of pygmy elephants, monkeys, crocodiles, and - if you're lucky - maybe even one of the big cats. The river landscape here is particularly stunning as the sun sets and the fireflies emerge, blinking in the twilight as you cruise back to your lodge. After dinner at the lodge, don't forget to take an evening walk along the boardwalks with your headlamps or flashlights to look for wildlife that emerges after dark. Start the morning with a river cruise to Pitas Oxbow Lake, known for its mangroves and proboscis monkeys. Keep an eye out for bathing families of pygmy elephants (they're common here). Once you've had your fill of elephant photo ops, follow your guide to an Abai village for a glimpse of what traditional life is like on the river. Then circle back to the lodge for a relaxing afternoon exploring the boardwalks and watching for wildlife. In the afternoon, another cruise awaits. Board the boat with camera in hand to watch for more wildlife along the river and catch another stunning sunset. Wave farewell to the proboscis monkeys! Today, you're off to Lahad Datu and the Tabin Wildlife Reserve. When you first arrive in the mid-afternoon, take some time to wander. 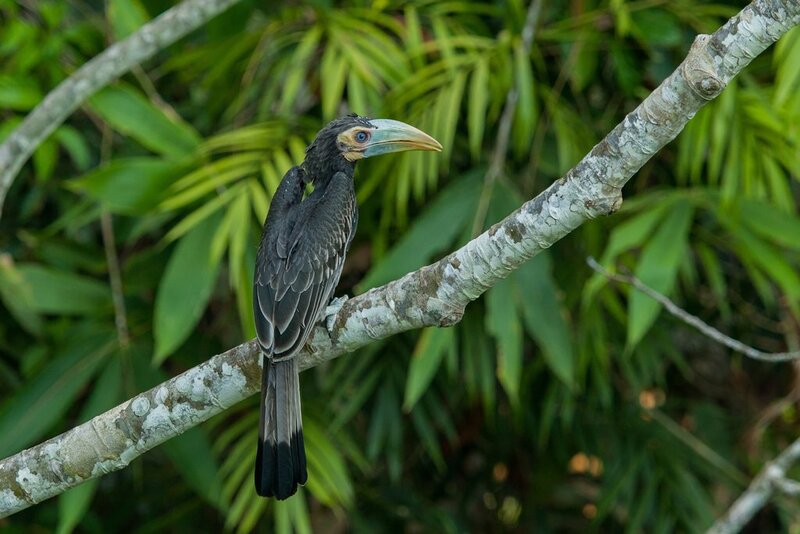 The Lipad River area is home to a wide variety of birds, insects, and small mammals, including colorful hornbills, flying lizards, and butterflies. If you're lucky, you might even spot a clouded leopard or a Sumatran rhinoceros. And don't forget to take note of the rich variety of jungle herbs growing along the paths. They've been used medicinally by the locals for generations. In the afternoon, trek from the Elephant Trail to the active Lipad Mud Volcano. Your chances of wildlife sightings here are good since the mud volcano acts as a mineral salt lick. And if you're feeling adventurous when you arrive, experience the effects of the volcanic mud yourself. It's said to improve the complexion. After dinner, another night safari will take you in search of baby crocodiles, monitor lizards, and leopards. Join an early morning bird walk to discover some of Tabin's nearly 300 species of birds. Then it's off to the core of the reserve, an area known for being the prime spot to find local wildlife. From here, trek through lush, green rainforest to the Lipad Waterfall. Pause for a swim in the natural pool and a refreshing shower under the gentle waterfall. In the afternoon, try out the Tabin Rainforest Foot Soak - a soothing treatment made with a natural blend of herbs designed to relax tired muscles after long jungle treks. 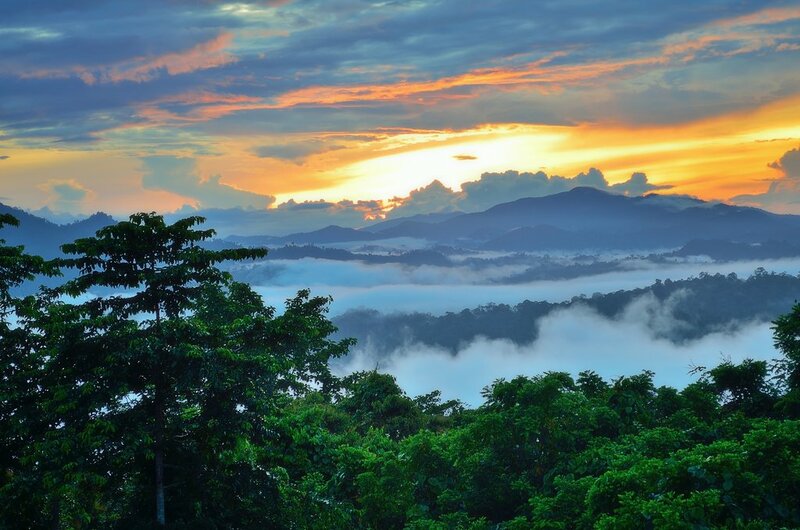 In the evening, take a twilight drive out into the rainforest for more wildlife spotting. Then take your last night walk along the trail near the resort in search of birds, frogs, lizards, and things that go bump in the night. Don't miss the views out the window as you transfer from riverside lodge to the heart of the jungle. Some of the forests you'll pass through today are millions of years old. 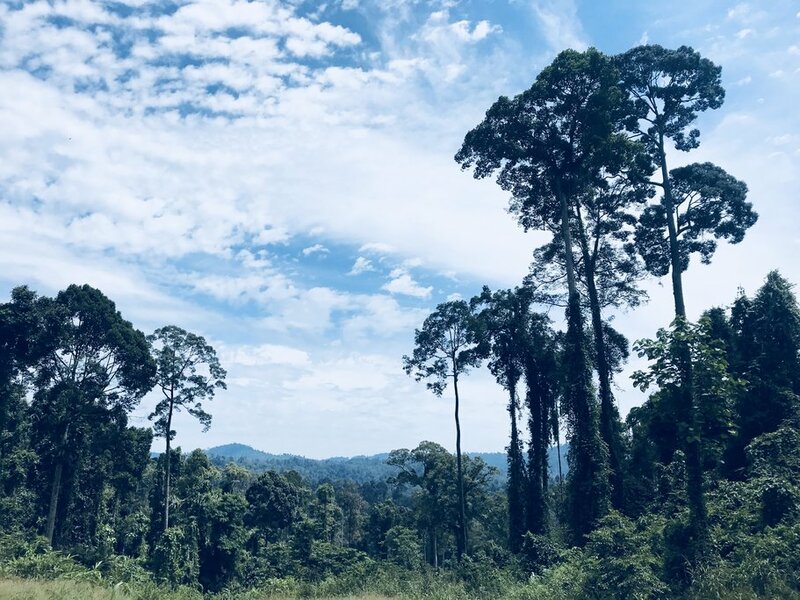 Once you've settled in at your new lodge, meet your guide for lunch and an introduction to the Borneo rainforest and the trails surrounding the lodge. After dinner, a guided night safari will take you in search of this new region's wildlife. Wake up to the calls of Borneo's gibbons and start your day with a guided trek to Coffin Cliff - a viewpoint and burial site. Take a short break by the natural pool (and jump in to cool off) before returning for lunch at the lodge. 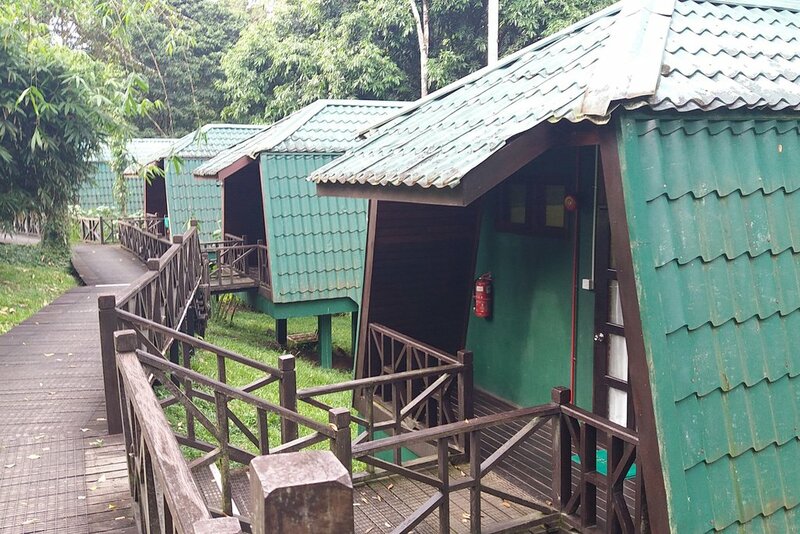 In the afternoon, optional activities include guided jungle trekking or tubing down the Danum River. A guided night walk on the nature trail rounds off your day after dinner. Start early again on the second day with a morning walk before breakfast. Then trek to Fairy Falls and Serpent Falls before returning to the lodge for lunch. 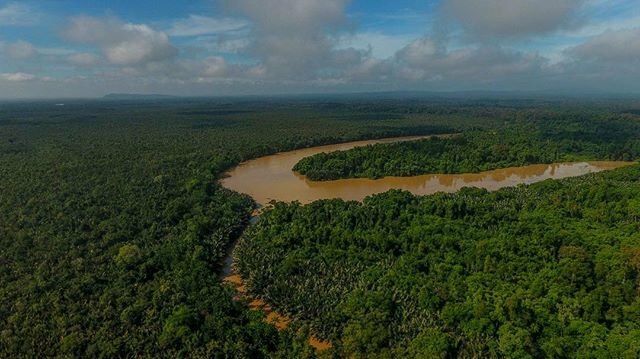 After lunch, if you're up for more hiking, a guided trek along the Segama River is the perfect opportunity to watch for Asian elephants and bearded pigs. Take advantage of your last morning with an early morning walk to check those final animals off your to-see list and take some more photos. Then it's back to the lodge for lunch and back to Lahad Datu to catch your transfer to the airport and then home.